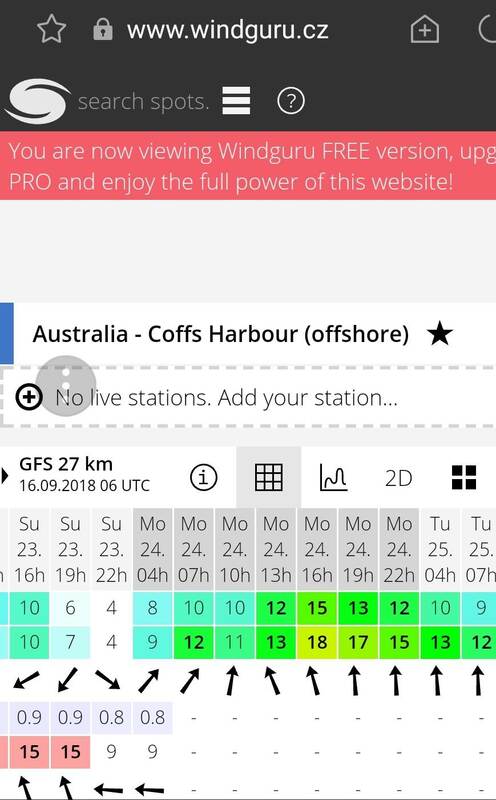 A week earlier the wind was awesome 25 knots NE for sat, 30 knots SW -S for Sunday ?? Well for those that can arrive early, today was gusting to 25kt NE at Parky, tomorrow will be to 30kt NE and Thursday sounds epic with a south change gusting to 30kt by the afternoon and swells rising to the 6 foot mark. High tide will be around 5pm. Friday should start with a sailable southerly up to 20knot. Don't ask about the weekend. Monday its back on again from the south. If you can make this Thursday let me know and Ill take the camera up. It would be a good opportunity to put together a cool video edit if we get enough shredders out there. Finno are you in? GM, do you go flat top south side much in NE or do most end up at Park. Also, does other side of jetty (North Boambee?) work in NE? NE up there are next best after Illawarra I reckon. 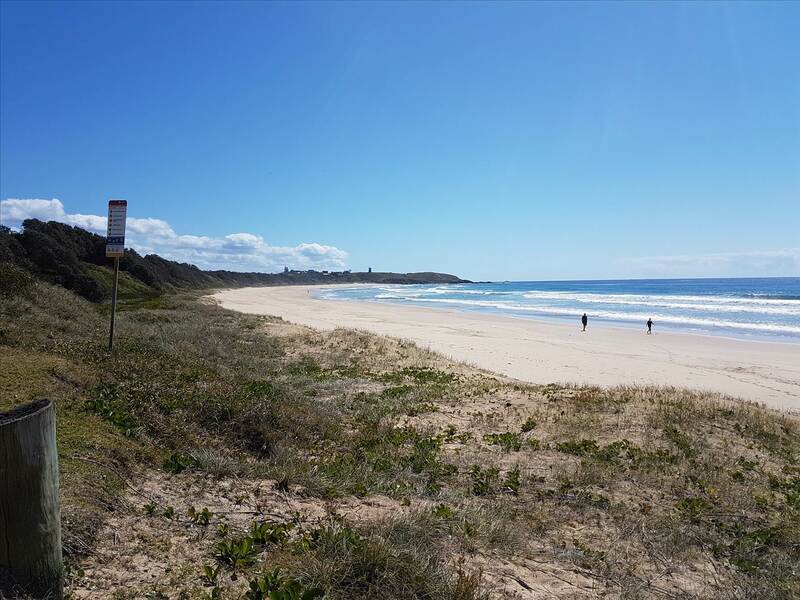 Kiters love the south side of the island in a north easter, Parky is always 5 knots stronger so us windsurfers end up there or at Sawtell most of the time. Ive sailed the south side of the jetty a few times some years ago. 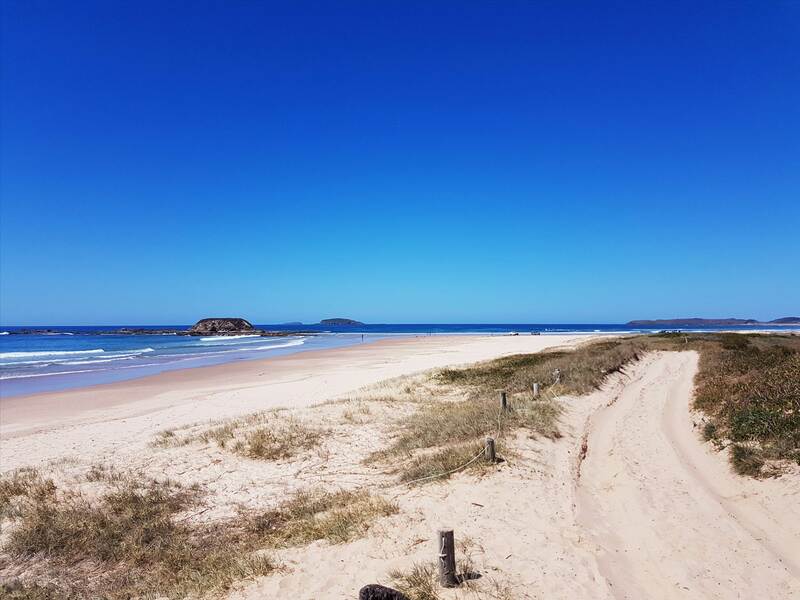 We should go there a lot more, very offshore, very smooth, but the sweet spot for the wind is very narrow because of the headland, unless you sacrifice your 4wd to the sand and drive down the beach a km or so to find the next sweet spot. It misses any NE swell so you must get it a day or two after the southerly. 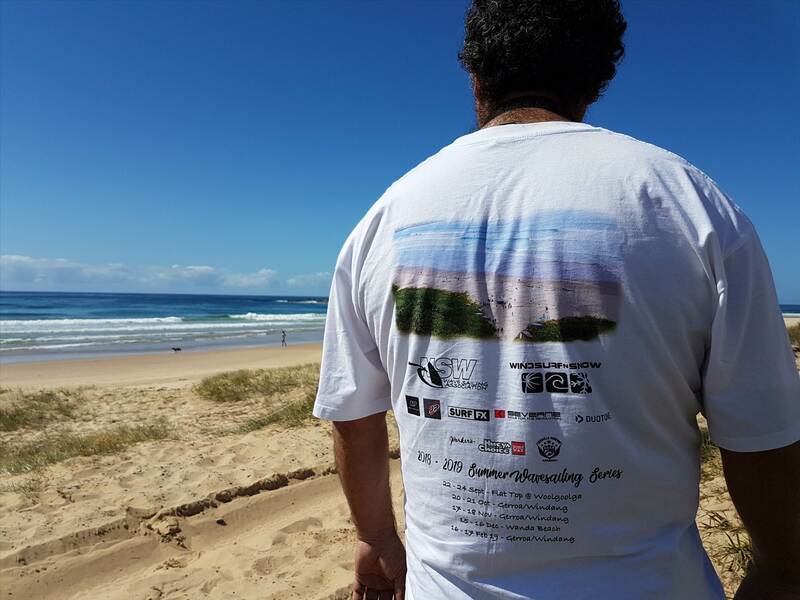 But I just say, Ive had some great sails lately at Sawtell Beach on the southerly, I find the wave there superior to Flat Top, you can push more bottom turns before the wave shuts down. Great, good to know. Thanks. Pretty small waves though ? 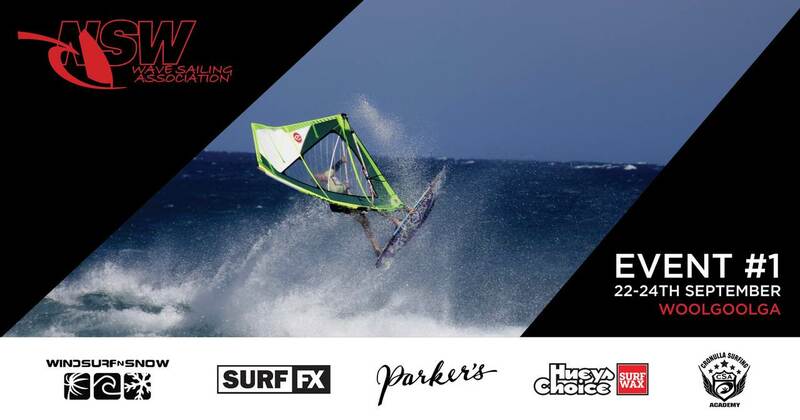 With the limited wind forecast, what's the go with the first comp ? If the forecast stays true, we will be starting early on Monday as this is a 3 day event. More updates will follow. New Tent, New Season, New Shirts. The 2018/19 season about to kick off. SUPing, and then hopefully some wind. Next briefing 2pm, first possible start 2.30pm. 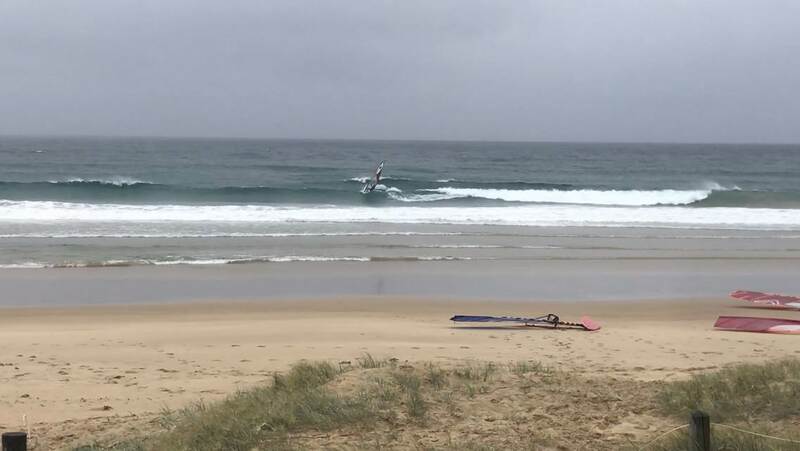 No competition today but some fun conditions. Briefing tomorrow at 8 a.m.
That was fun! Thanks for organising the event guys !! 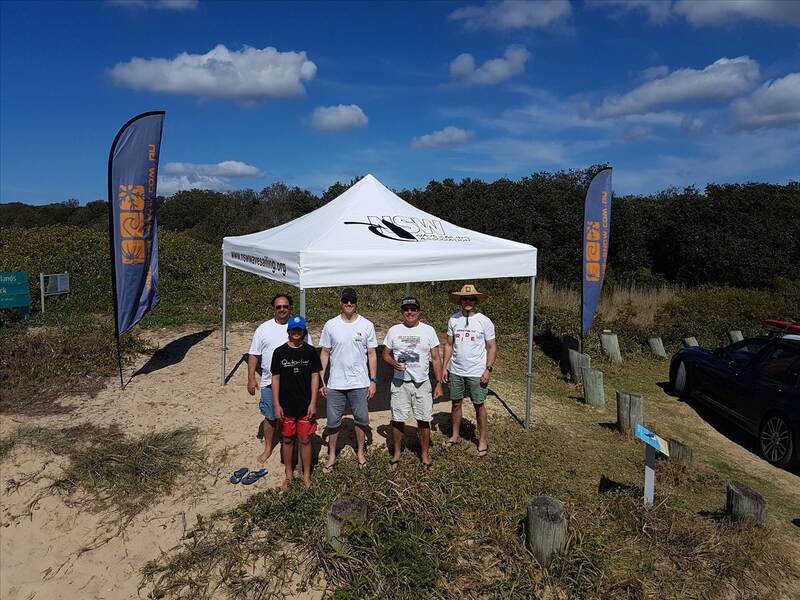 The event report and results for the Woopi comp is now up. The forecast is looking questionable at this stage, where's suitable for SE down this way ? Windang offers great wavesailing when the wind is from the south.